Motor 2,2 Ltr. - 103 kW CTDI. 353479 - PUENTE TRASERO HONDA CIVIC BERLINA 5 (FK) 2.2 i-CTDi Comfort | 09.05 - 12.12. 2.2 i-CTDi Comfort. Voulez-vous que nous vous assurions que cette pièce correspond à votre véhicule?. 83016 TRANSMISION EJE Honda CR-V (11.2012->) 2.2 Luxury 4x4 [2,2 Ltr. ]. 88819 Transmissão Honda CR-V (RD8)(2002->) 2.0 K20A4 CENTRAL As condições de envio são para Portugal continental. Muito obrigado pela sua confiança. Radnabe hinten links Honda CR-V III (1.10-9.12). Honda Civic 1.4i 12/00-10/05. Honda Civic 1.6i 06/01-03/06. Honda Civic 1.6i 12/00-10/05. Honda Civic 1.7TD 04/02-10/05. Honda Civic Coupe 1.7i 04/01-01/03. Honda Civic MK VIII [2005-2013] Hatchback 2.2 CTDI 2204ccm 140HP 103KW (Diesel). 1 X NEW REAR AXLE BEAM BUSH. Honda Civic MK VIII [2005-2013] Hatchback 1.4 1339ccm 83HP 61KW (Petrol). Honda Civic MK VIII [2005-2013] Hatchback 1.8 1799ccm 140HP 103KW (Petrol). CIVIC EG2 EG3 EG5 EG6 EG9 EH6 MB1 MB2 MB3 MB6 MB7 MB97 MA8 MA9 EG4 EG8 MC1 MC2 EJ2. 3 X NEW LOWER WISHBONE ARM BUSHES. TO DO ONE LOWER WISHBONE ARM. ALL SALOON HATCH AND COUPE MODELS. Honda Civic 1.3 11/91-03/96. 1 X FRONT LOWER WISHBONE ARM REAR BUSH NEW. Civic Coupe EM2 (2001-) 1.7i. Civic EU5/7 (2000-06) 1.4i. Civic EU6/8 (2000-06) 1.6i. Civic EU9 (2000-06) 1.7TD. MINTEX-CTECH,EBC BRAKES, MAHLE FILTERS -NGK SPARK PLUGS-HIGH VOLT IGNITION,BREMBO,FIRSTLINE SUSPENSION,QH PRODUCTS,FUEL PARTS. 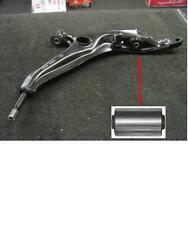 WILL FIT ON LEFT OR RIGHT SIDE LOWER WISHBONE ARM. 1 X NEW LOWER WISH BONE ARM FRONT BUSH. Civic FK1 (2005-) 1.4i. Civic FK2 (2005-) 1.8i. Civic FK37 (2005-) 2.2TD. Civic - Type R FN23 (2006-) 2.0i. Civic - Type S FN1 (2006-) 1.8i. Honda FR-V 2.2 CDTi 09/05-06/10. Honda FR-V 1.7 VTEC 11/04-10/07. Honda FR-V 1.8 VTEC 06/07-06/10. Honda FR-V 2.0 VTEC 11/04-12/06. Honda Stream 1.7 04/01-09/03. Honda Stream 2.0 04/01-12/05. IMPORTANT NOTES. 2006 MK8 Honda Civic FRONT WHEEL HUB RH Driver Side 2.2 Diesel OE Factor Number - 44600SMJG00. This comes as imaged. There is some surface corrosion (see images) Please make sure part is correct before purchasing. We try to describe our parts as honestly as we can, however please also see our images in case we have missed anything. Any questions please ask. International buyers please contact us for price and availability of postage to your location. Removed from below vehicle -. HONDA CIVIC EK1 EK4 EJ6 EJ8 EM1. 3 X NEW LOWER WISHBONE SUSPENSION ARM BUSHES. FULL RANGE OF BUSHES AVAILABLE FOR ALL MODELS OF HONDA. Honda Civic 1.4i 01/96-11/99. Honda Civic 1.5i 01/96-11/99. Honda Civic 1.6i 01/96-03/01. Honda Civic 1.4i 12/00-10/05. Honda Civic 1.6i 06/01-03/06. Honda Civic 1.6i 12/00-10/05. Honda Civic 1.7TD 04/02-10/05. Honda Civic Coupe 1.7i 04/01-01/03. Honda Civic 1.6 MK 7 12/00-02/06. Honda Civic 1.7 MK 7 04/02-02/06. CIVIC EG2 EG3 EG5 EG6 EG9 EH6 MB1 MB2 MB3 MB6 MB7 MB97 MA8 MA9 EG4 EG8 MC1 MC2 EJ2. 3 X NEW LOWER WISHBONE ARM BUSHES. TO DO ONE LOWER WISHBONE ARM. Honda Civic 1.3 11/91-03/96. Honda Civic 1.4i 01/97-12/98. 2 X FRONT LOWER WISHBONE ARM BUSHES. WILL FIT LEFT OR RIGHT WISHBONE ARM. 2 X NEW REAR AXLE BEAM BUSHES. IV, HS, KA27-28, KW, PA20-49, PA60-78, PH17-26, PH30-44, ZE, BT, IM, TR21-28, GY, JE, SCOTTISH HIGHLANDS, SCOTTISH ENGLISH OFFSHORE ISLANDS, NORTHERN AND SOUTHERN IRELAND, ISLE OF MAN AND ISLE OF WIGHT ETC. 2004 MK7 Honda Civic FRONT WHEEL HUB LH Passenger Side 2.0 Petrol. Will require new ball joint and bearing. There is some surface corrosion. This comes as imaged. Please make sure part is correct before purchasing. We try to describe our parts as honestly as we can, however please also see our images in case we have missed anything. Any questions please ask. International buyers please contact us for price and availability of postage to your location. Removed from below vehicle -. 2x Lagerung, Achskörper der Hinterachse links rechts. Breite Gummilagerung: 40,0 mm. Koppelstangen & Pendelstützen. Spurstangen/ -köpfe. Querlenker/ Traggelenke/ Lager. Sie erhalten nur Originalteile oder qualitätsgeprüfte Neuteile in Erstausrüsterqualität zum Top Preis! 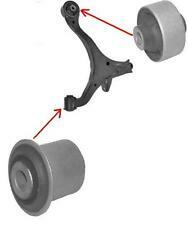 1 X REAR TRAILING ARM BUSH. HONDA CIVIC 1991 ON 3 DR, 5DR,SALOON,ESTATE, HATCH ALL PETROL / DIESEL MODELS. NOT HANDED WILL FIT EITHER SIDE. CALL US FOR A QUOTE OR BOOKING ON. 2 REQUIRED PER CAR. Eje trasero HONDA HR-V 1999 Gasolina GH 573, 1276396 ,, Motor: 1.6 16V, 5 puertas. Llama ahora. Nós podemos verificar isso. Wir können es überprüfen. Honda FR-V 1.7 VTEC 11/04-10/07. Honda FR-V 1.8 VTEC 06/07-06/10. Honda FR-V 2.0 VTEC 11/04-12/06. Honda Stream 1.7 04/01-09/03. Honda Stream 2.0 04/01-12/05. honda oe ref 52365-S5A-802 / 52364-S5A-004. Honda FR-V 2.2 CDTi 09/05-06/10. Honda FR-V 1.7 VTEC 11/04-10/07. Honda FR-V 1.8 VTEC 06/07-06/10. Honda FR-V 2.0 VTEC 11/04-12/06. Honda Stream 1.7 04/01-09/03. Honda Stream 2.0 04/01-12/05. Honda Stream 1.7 04/01-09/03. Honda Stream 2.0 04/01-12/05. Honda Civic 1.4i 12/00-10/05. Honda Civic 1.6i 06/01-03/06. Honda Civic 1.6i 12/00-10/05. Honda Civic 1.7TD 04/02-10/05. Honda Civic Coupe 1.7i 04/01-01/03. HONDA CIVIC HATCHBACK AND AERODECK 1.8i VTi ALL MODELS 1997-2001. 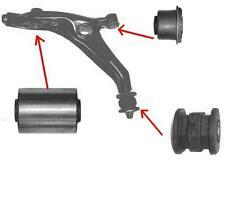 2 X NEW FRONT TOP / UPPER SUSPENSION ARMS INC BALL JOINTS AND BUSHES. GATES; MINTEX-CTECH;EBC BRAKES; MAHLE FILTERS -NGK SPARK PLUGS-HIGH VOLT IGNITION;BREMBO;FIRSTLINE SUSPENSION;QH PRODUCTS;FUEL PARTS. (Honda Quintet 1981-83 models. Triumph Acclaim 1981-84. Honda Prelude (with chassis no. starting with 8) 1979-80. starting with C00) 1980-83. 1 X NEW LOWER WISH BONE ARM REAR BUSH. Civic FK1 (2005-) 1.4i. Civic FK2 (2005-) 1.8i. Civic FK37 (2005-) 2.2TD. Civic - Type R FN23 (2006-) 2.0i. Civic - Type S FN1 (2006-) 1.8i. Civic - Type S FN33 (2006-) 2.2TD. 2 X NEW FRONT LOWER WISHBONE ARM BUSHES ONLY. 2 X NEW LOWER BALL JOINTS. ONE FOR EACH SIDE. NORTHERN AND SOUTHERN IRELAND, ISLE OF MAN. 3 X NEW LOWER WISHBONE SUSPENSION ARM BUSHES. FULL RANGE OF BUSHES AVAILABLE FOR ALL MODELS OF HONDA. HONDA CRV 2.0 ALL MODELS 1995>02. NOT HANDED WILL FIT EITHER SIDE. ( TO DO ONE SIDE ). CALL US FOR A QUOTE OR BOOKING ON. 1 X NEW FRONT LOWER WISHBONE SUSPENSION ARM CENTER BUSH. TO FIT FRONT LOWER ARM. FULL RANGE OF BUSHES AVAILABLE FOR ALL MODELS OF HONDA. Honda CR-V 2.0i 1995-2001. NOT HANDED WILL FIT EITHER SIDE. (MHonda Civic 1.5 Aerodeck MB97 (1998-01). MMMHonda Civic 1.6 Aerodeck MC1 (1998-01). MMMHonda Civic 1.8VTi Aerodeck MC2 (1998-01). MMMHonda Civic 1.5 Coupe EJ2 (1994-96). COMPLETE WITH BALL JOINT BUSHES). HONDA CIVIC VIII DSB166G DSB167G DSF133G. Andreini-Ricambi propone una vasta gamma di AMMORTIZZATORI di qualità superiore alla norma affidandosi ai marchi Tedeschi E Italiani più importanti. codici dei produttori HONDA 51606-SMG-E04 51606-SMG-E05 51606-SMG-E06 51606-SMG-G04 51606-SMJ-E04 51606-SMJ-E05 51606-SMJ-E06 51606-SMR-E01 51606-SMR-E02 51606-SMR-E03 51606-SMS-E01 51606-SMS-E02 51606-SMS-E03. Honda FR-V 1.7 VTEC 11/04-10/07. Honda FR-V 1.8 VTEC 06/07-06/10. Honda FR-V 2.0 VTEC 11/04-12/06. Honda Stream 1.7 04/01-09/03. Honda Stream 2.0 04/01-12/05. Honda FR-V 2.2 CDTi 09/05-06/10. 2002 MK1 Honda S2000 FRONT WHEEL HUB LH Passenger Side 2.0 Petrol. Item is badly corroded. This comes as imaged. Please make sure part is correct before purchasing. We try to describe our parts as honestly as we can, however please also see our images in case we have missed anything. Any questions please ask. International buyers please contact us for price and availability of postage to your location. Removed from below vehicle -. 3 X NEW FRONT LOWER WISHBONE ARM BUSHES. ALL BUSHES TO DO ONE LOWER ARM. NOT HANDED WILL FIT EITHER SIDE. WILL REPAIR 1 SIDE ARM. Honda CR-V 2.0 MK 2 01/02-03/06. Honda CR-V 2.0i 01/02-12/06. Honda CR-V 2.2TD 12/04-12/06. Honda CR-V 2.0 MK 2 01/02-03/07. Honda CR-V 2.2 i-DTEC MK 3 01/10-. Honda CR-V 2.0i 01/02-12/06. Honda CR-V 2.2TD 12/04-12/06. FRONT WHEEL HUB W/O BEARING (JE44087) - QTY:1. Highlands, Islands and Ireland such as the following AB31 TO AB56, ON, BT, GY, HS, IM, IV, JE, KW, PA20 TO PA78 AND ON., PH, PO, ZE as well as any OFF SHORE ISLANDS. HONDA CRV 2002 - 2006 ALL MODELS INC CDTi. Honda Civic Coupe 1.7i 04/01-01/03. Honda Civic 1.4i 12/00-10/05. Honda Civic 1.6i 06/01-03/06. Honda Civic 1.6i 12/00-10/05. Honda Civic 1.7TD 04/02-10/05. Honda Civic 1.6 MK 7 12/00-02/06. Honda Civic 1.7 MK 7 04/02-02/06.